It seemed like a good choice -- the Wilmington Chapter of the National Railway Historical Society was looking for a spring trip using regular service trains. The trip would originate somewhere in northern Delaware or southeastern Pennsylvania. 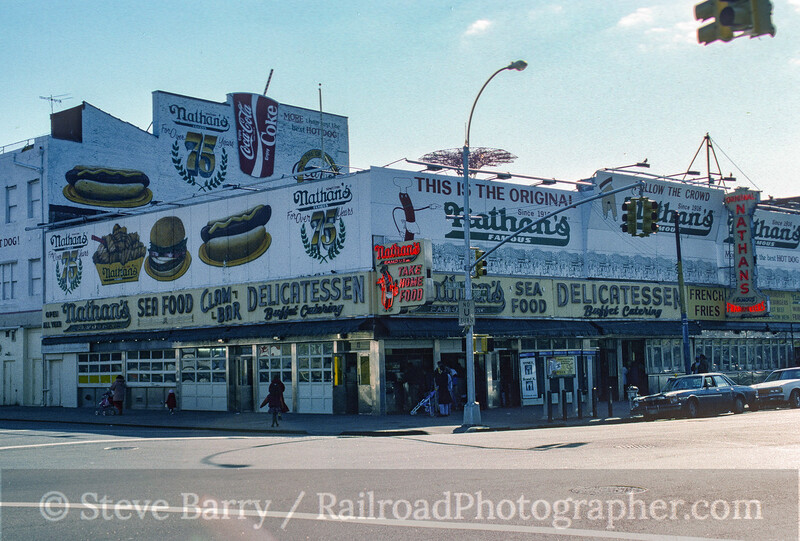 I suggested we go to Coney Island to get a hot dog from the original Nathan's Hot Dog stand. 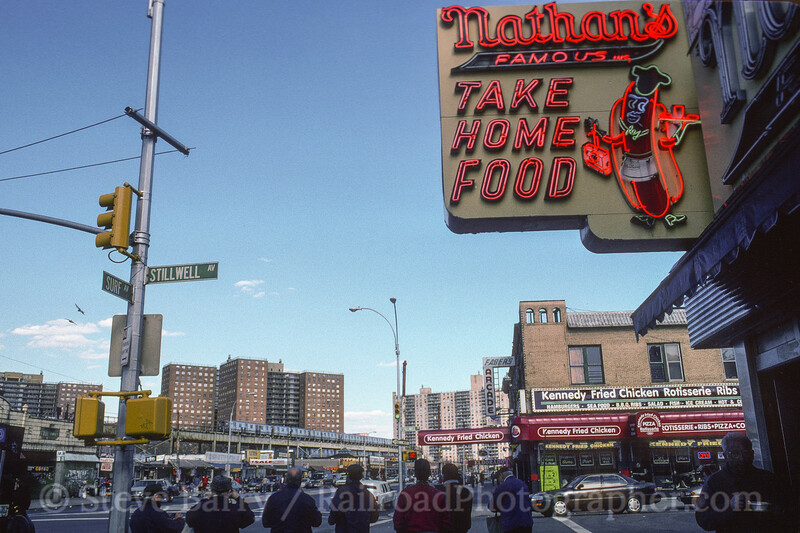 So on April 1, 1995, a group of us set out to travel through Manhattan to Brooklyn in search of a hot dog. 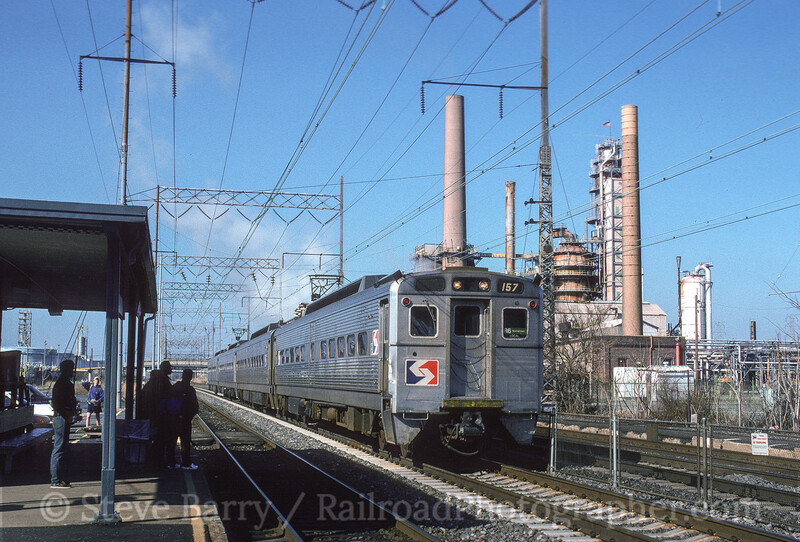 Our trip began at the SEPTA station in Marcus Hook, Pa. -- at the time, SEPTA service into Delaware was quite limited. 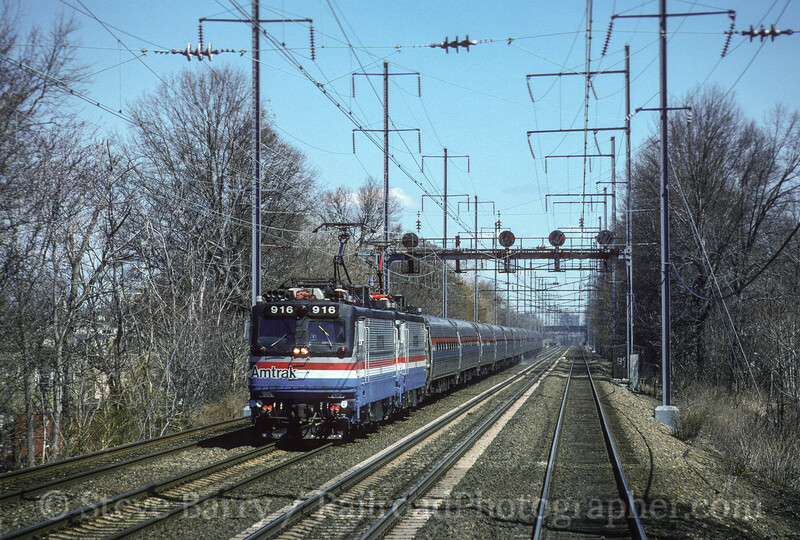 We boarded a Silverliner IV and headed to 30th Street Station in Philadelphia, where we would change trains and take another SEPTA train to Trenton, N.J.
At Trenton we changed to a New Jersey Transit train to continue into Pennsylvania Station in Manhattan. We were riding in the lead car of a set of Jersey Arrow self-propelled multiple unit cars, and as the conductor was taking tickets he soon realized he had a group of railfans on board. He checked with the engineer and soon he was cycling members of our group through the cab for photos from the head end. 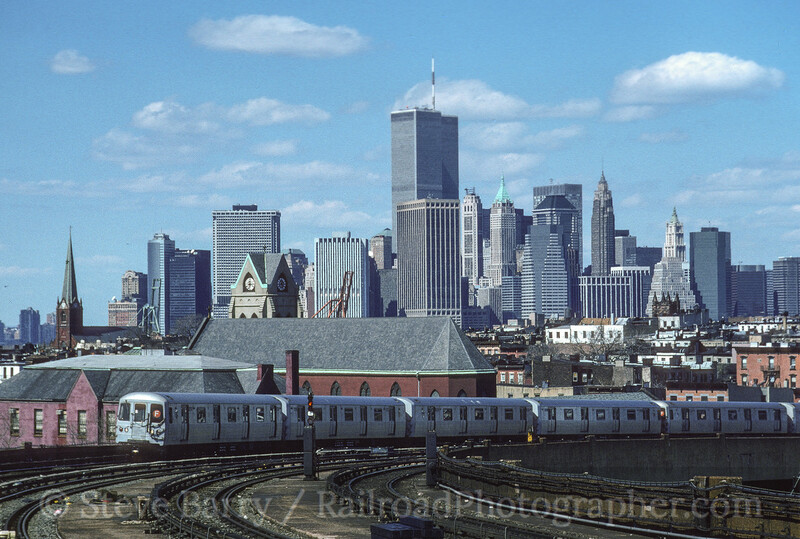 Once in Manhattan we worked our way into the subway system. 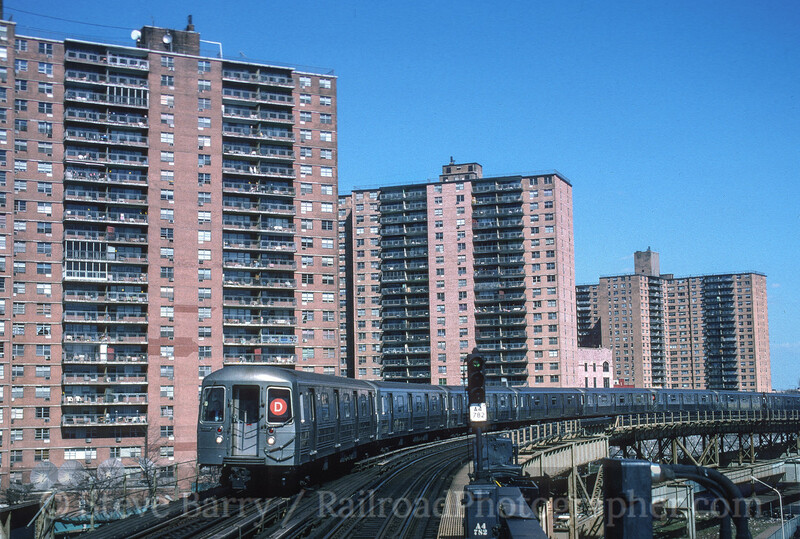 We knew we wanted the F-Line out to Coney Island. 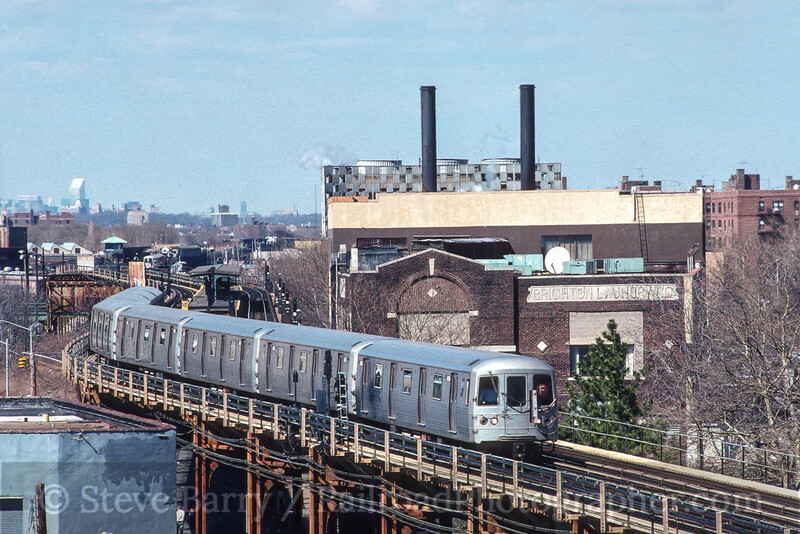 As it works out, the F-Line also serves the oxymoronically highest point on the subway system at Smith-9th in Brooklyn, just after leaving Manhattan. The elevated line provides great views of the Manhattan skyline, so we paused for photos here. We continued on the F-Line to the West 8 Street station near Coney Island. This is a multi-level station that also has some good photo angles. We paused here for a few shots before finally heading to lunch. 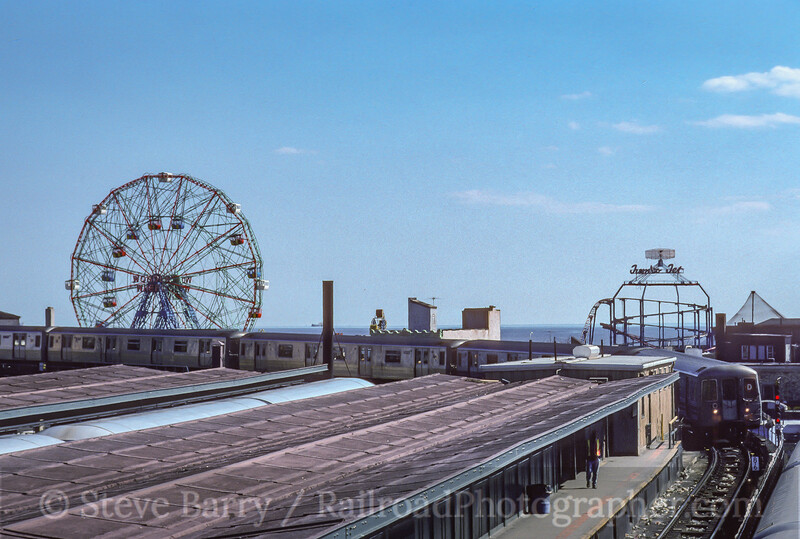 Two more stops and we had arrived at Coney Island. The Stillwell Avenue subway station marked the end of our outbound journey. Finally, it was time for our hot dog! 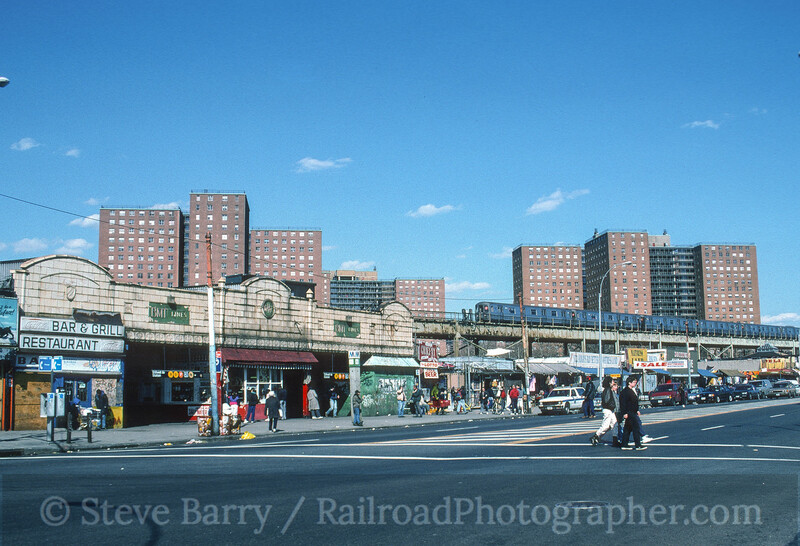 We did take time to shoot subway trains approaching Stillwell Avenue across the street. After lunch we spent some time looking at the Stillwell Avenue terminal. A lot has changed in the intervening 20 years -- the terminal has been expanded and modernized. 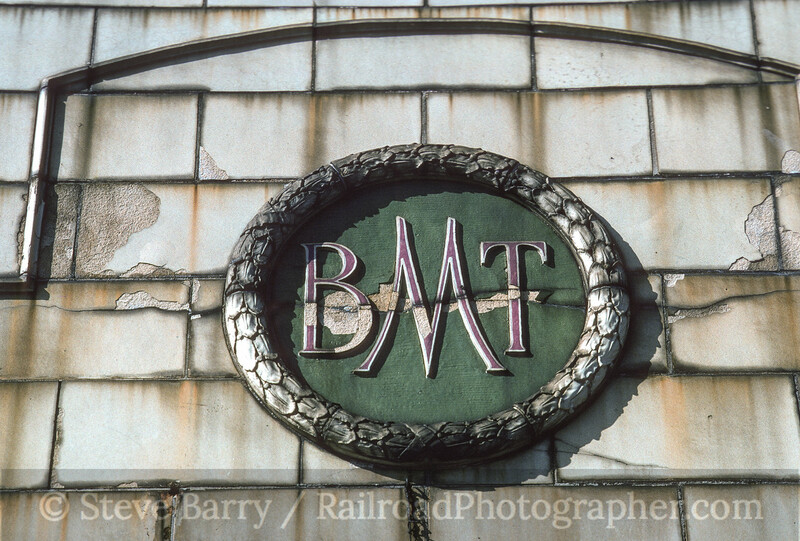 The BMT (Brooklyn-Manhattan Transit) signage on the outside that we saw is still in place in 2015. Now it was time to head home. Lunch was late, and it was already mid-afternoon. 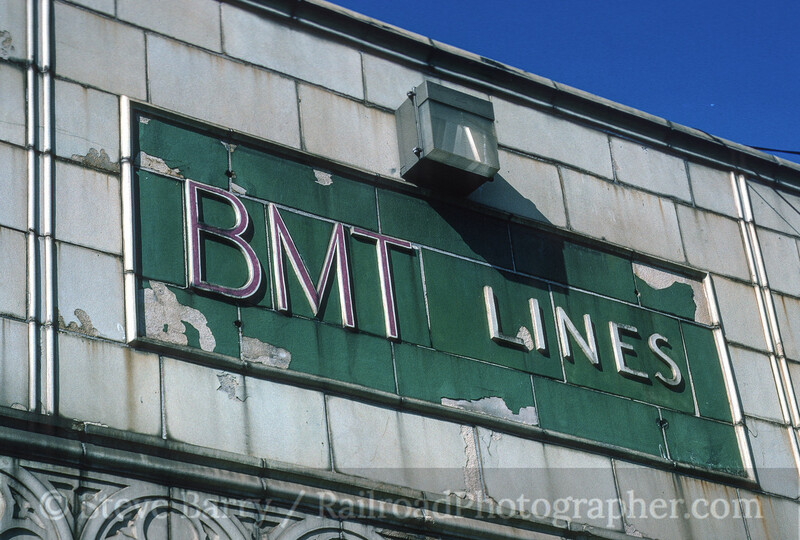 As I recall, we opted to take the B-Line back, but long shadows precluded photography. At New York Penn, a few of our group opted to hop on Amtrak to Philadelphia to expedite the ride home. Most of us, however, opted for the NJ Transit/SEPTA combination back to Marcus Hook. Arrival back at the hook was after dark, but it certainly was a memorable trip to get a hot dog!